Taoist tattoo. I will offer my fledgling, humble interpretations of Lao-Tzu’s 81 chapters of the Tao te Ching, as it applies to tattooing. 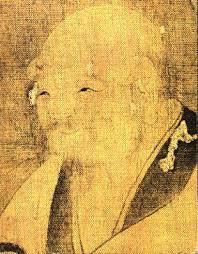 I am in no way attempting to represent myself as a master of Taoist philosophy, however Lao-Tzu’s teachings have inspired me for several decades, and I often look to them for inspiration in dealing with the many challenges of my chosen profession. Which images make good tattoo images cannot be lastingly quantified. The naming of a particular image is not enough to assume its integrity. A tattoos legitimacy is born of inspiration. Lists and categories merely describe it after its creation. Striving to create a perfect image will only inhibit ones inspiration. It is true one must discern ones intent-but then one must let go the idea of perfection, and allow space for epiphany. It is in the abandonment of the quest for perfection that one may find the inspiration to achieve it. Resist judging, and comparing your work in relation to the work of others or to your own work from the past. These ideas of good tattoos, and bad tattoos old tattoos and new tattoos are not the best use of ones energy. Upon completion of your worst tattoo, you are not a failure. Upon completion of your finest tattoo you are not a success. Just do the very best tattoo you are can every time you tattoo. However it goes, accept it, and let go of it. This is how one finds the courage to try again each day. Over value the famous, or notorious tattooer, and one is likely to seem diminished in ones efforts. Over value a particular style, and the diminished will try to copy it. Stop over thinking and get to work. Abandon the goal of making the best tattoo ever, and just make the best tattoo you can. A master tattooer might be indiscernible. Produce with supreme attention, but let go of the outcome. Bewilder those still mired in self doubt simply by doing his job. This Tao (inspiration) we seek does not come from tattooing. Tattooing comes from the Tao. Easiest to find if we are not looking for it and not pretending, to not be looking for it. Guard against a noisy mind cultivate some kind of humility, and the same Tao will appear that has been the inspiration of artists throughout time. All clients are equal in the masters eyes. They all bring a doorway to inspiration. Each and every one represents an opportunity to rise to our calling. The more we honor our clients, the better we are able to perform. As our performance improves, so does our clientele. The tides of energy are strong in a tattoo studio, there is a danger of forgetting this. Strive to stay balanced. These truths never go away. As all things are possible at any time, it’s never too late to reinvent oneself. One can create a beautiful career or a tragedy. The wellspring of creativity is always there. Available, through all time for those in a mindset ready and able to receive it. A master tattooer might live quietly. Not identifying themselves with the crowd and the scene commonly associated with tattooing. They do not seek adulation for what they do. Because they have let go the lust of reward they find fulfillment in the work. A tattooers long term success depends entirely on client relations. One must always remember, a tattooers purpose is to serve. Make yourself easy to reach. Strive for simplicity in your designs. Be a good listener, and work hard. Offer your best advice, then let the client decide. Find a way to enjoy every tattoo. Be present, and focused on your client. If you are open, honest, genuine, and emotionally available you will attract clients who suit you. When you work with clients who are suited to you you will invariably create your finest work. Overbook and tattoo too many hours, and you will burn out. Tattoo solely for the money you will earn, and you will never love your work. Strive for the acclaim of your peers, and you will never believe in yourself. Tattoo simply for the enjoyment. letting go everything else. This is the only path to artistic satisfaction. Can you bring your mind back from its wandering and focus on those needle tips? Can you keep your hands, arms, and shoulders from clenching and cramping? Can you cultivate your own mind until you are steadfast in positivity? Can you love your clients and guide them with their own best interests in mind? Can you take control of the design phase by letting the clients needs move you? Can you forget the absolutes you imagine and let yourself find a new way of thinking? Creating beauty and supporting your client, Owning your work, though it does not belong to you, tattoo without expectations, guiding without imposing your will: this is the path to mastery. We gather artists to a business, but it is the client who will make the tattoos possible. We solder needles together, but it is the space in between them that carries the pigment. We move the machinery across the skin, but it is the skin that makes our work endure. Tattoos require a tattooer, but the tattooer is only the conduit. Tattooing will present the young artist with a myriad of over stimulation. So much art, so many opportunities for debauchery, adulation, to temp a young ego. One can be overwhelmed, and loose sight of the way. A master will not be caught up in these webs. These trappings are not what you are- not what tattooing is about. Be a vessel of the art. Success is as great a danger to a tattooer as failure. Hope of success is as useless to a tattooer as fear of failure. How can success be a threat? Great success will create the condition of of fearing the loss of that success. When you choose to live without extravagance, success and failure loose their power over you. How can hope of success be a threat? Hope of success arises from thinking of the self. A tattooer who thinks first of his clients need not fear failure. See your clients needs as your own needs. Trust to the natural order of things. Cherish the satisfaction of your clients as your own. This is how a tattooer will thrive. The world of form and imagery may overload an artists senses. Seeing, hearing, tasting, smelling, and feeling- are enough to distract us from the mystery. Seeking does not lead to finding. clinging does not result in keeping. There is no “secret” to be told. There are no “tricks” to greatness. Ones work is the result of the formless, and absolutely perfect that has passed through the tattooer into the world of form. One cannot make excuses for the way this passage through self shapes the shapeless. The mystery of tattooing cannot be unravelled merely by learning about tattooing. Know enough to know that you know nothing and be at ease in your own career. The beginning of wisdom in tattooing, is to realize we must unravel ourselves. The Old timers’s influence on us is profound. They were able to bear tattooing through an age that scarcely embraced it. There is no way we can be like them, though many imitate their appearances and works. They endured hardships we will never face. Discovered principles of good tattoo design that may never be outdated. Struggled to learn technique when no one shared information. Labored to get equipment before industrial manufacturing. Carried on delving the mystery in a society that shunned the art. Do you have the patience to learn good technique before you take on large work? Do you have the humility to learn good design before you make custom tattoos? The Master doesn’t become a master by skipping over tradition. He is able to create innovative tattoos because he has grasped the traditional. Cultivate serenity. Seek inner quiet. Observe the world in all its turmoil, while imagining utopia. Clients walking into the studio may be students, or they may be teachers. We must be open to either. When you remember this, you look at each new client, with a gentleness, and openness, that allows you to truly be present. Grounded in this mindset, you will have a meaningful career, and at retirement, you will be prepared. When a Master tattooer manages the shop, the artists are hardly aware that he is the manager. Next best is a manager who is loved. Next is a manager who is feared. The worst is one who is despised. If you don’t trust your artists, you make them untrustworthy. The Master tattooer behaves no differently than he wants his artists to behave. In this model the business will flourish, the artists are happy, they take pride in their work, they feel loyalty toward the studio. When the correct motivation for tattooing is forgotten, rank and seniority appear in the studio. Next appears cleverness, shrewdness, and hypocrisy. When there is no harmony between the artists, a shirking of responsibilities begins. The studio falls into disorder, and politically motivated loyalties are born. Discard the notion of managerial superiority, and the artists will be a hundred times happier. Throw away the illusion of morality, and artists will do the right thing. Abandon the concept of tattooing as industry for profit, and artists wont steal from the studio. These three concepts are detrimental to studio harmony. Demonstrate respect for your artists, tolerance and open-mindedness toward their views, reduce selfish profit and support artist prosperity. It is said that ignorance is bliss. It seems this may be true. Everywhere one looks, one finds, that an honest appraisal of reality is unwelcome. Others prefer polite lies to undesirable truths. Ours is a world, astray from ideals which can endure. Those seeking excitement and sensory fulfillment, will look with confusion and even scorn- on those who would have reason be our guide. The easier path to riches and fame, is darkness, dishonesty, and denial. I will face the more difficult path. The easier way to a sense of contentment, is to not consider these things at all. I choose discontent over delusion. In tattooing, as in life, one who seeks truth, above self indulgence must be prepared to be an outsider. 21 The appearance of a great tattooer, hints at the correct way. It is the WAY that makes them great. The way to becoming a great tattooer, cannot exactly be defined. So how can one find the way? The most important steps, are older than tattooing. tattoos are the fruit of the artist, not the roots of the artist. It is the life of an master, that makes for great tattoos. Not great tattoos, that make the life of a master. The tattooer who has few desires, may very well achieve them. The tattooer with many desires, may very well have none of them. Do we praise those who seek praise? Or those who do not? Do we think well of those who boast? Or of those who do not? When a tattooer does not compete, others cannot compete with him. Only in forgetting everything else, can you remember yourself. It is in being yourself, that you will succeed. Tattoo with absolute commitment, When you draw, there is only drawing. When you pull lines, there is only lining. When you are shading, there is only shading. Open yourself completely to tattooing, and be at one with the task. Open yourself to the successes, and use them to encourage you onward. Open yourself to the challenges, and allow them to inspire your effort. Open yourself to the failures, and they will develop your humility. Open yourself to your clients, and allow them to be a part of it all. Absolute confidence is required to tattoo well. It comes from having faith in yourself, and letting all other processes take their natural course. Those who attempt tattoos beyond their skill, fail in the task. Those who rush to know the masters technique, miss the fundamentals. Those who seek celebrity and notoriety, look like fools. Those who say they are the best, know they are not. Those who praise their own work, have not the praise of others. Those who brag about themselves, do not have lasting careers. Those with the TAO call such behaviors wasteful and ruinous. They despise them. Thus, those who embrace the TAO do not engage in them. Seriousness about your tattooing, is the root of having fun with it. Stability in your community, is the source of all serious clientele. The master may travel often, but returns to the community who supports him. However pleasant the journey, he remembers where his home is. If you let restlessness drive you, clients may not trust you. Great works of art take the sort of time, that only a stable tattooer can offer. Stubborn adherence to preconceived ideas, about how to induct customers, will prevent you from finding the best way. A tattooer must first listen, in order to appropriately respond. Every customer must be guided to their goal, by a different path than the last. Interpersonal sensitivity and presence of mind, are paramount to success. The difficult consultations may be the most important. The value of having to work to achieve understanding, is profound to customer and tattooer alike. Customer and tattooer need each other. If you don’t understand this, you will not succeed, no matter how talented you are. The places and stations that society idolizes, are highly specialized, and precarious. The exceptional are vulnerable. Despising them is a common way, that people avoid self loathing. Therefore do not seek celebrity. Instead seek a balance of effort and reward. In tattooing, as in life it is best, to cultivate humility, simplicity, and generosity. These traits are like the TAO. When a tattooer is aligned with the TAO, he will be blameless in his efforts, unstoppable in his creativity, and favored by his community. Stiffness in ones identification as a tattooer, results in one becoming a characature of ones self. Avoid forming inflexible ideas about what tattooing is, or what a tattooer should be. Tattooing is a journey. The path to becoming a master, may lead one down many varied and confusing paths, before one arrives at mastery. A tattooer who relies on the Tao in dealing with clients, doesn’t attempt to force issues. There can be no resolution in consultation, that has become a battle of wills. Advice, no matter how well intended, will not be heeded if it is forced upon a client. The Master tattooer offers his advice, then lets go. He understands that ultimately the responsibility belongs to the client, and that trying to coerce the client goes against the flow of the Tao. When you believe in yourself, you need not try to convince others. You offer your advisement, but don’t need others to follow it. To enable the client to surrender control of the tattoo, you must first surrender control of the tattoo to the client. Drama and conflict: all decent men detest them. Conflict within the studio is inevitable, delighting in that conflict creates drama. A decent man will never delight in it. A decent man will show restraint, employing diplomacy and understanding. He is loathe to force his position, only doing so at true necessity. He will call upon his authority with calm detachment. Solemn, and saddened to be forced to do so. Those who delight in exerting power over others cannot achieve mastery. Therefore a Master will not do so. The Tao is like the air we breathe, invisible, yet we owe our existence to it. If those within the tattoo community who are burdened with notoriety, could remain centered in the Tao, there would arise a more noble culture of tattooers. A role model can be considered worthy if their example compels others to embrace higher standards. Mastery indicates ones alignment with the Tao. No amount of excuses, blame, or clever language can repel ones responsibility to this law. Follow the flow of the Tao, to be free from risk of failure. Familiarizing yourself with the styles of other tattooers is intelligence. Working to develop your own style is wisdom. Being able to replicate the style of other tattooers is a kind of strength, but only the mastery of your own style is true power. If you realize that your own artistic impulse is sufficient to lead you to artistic fulfillment, you and your clients are truly fortunate. You must acknowledge the inevitability of having to retire fairly young and make the most of the time you have, if you want to make an enduring contribution to the art form. The artist is the product of the Tao. Therefore the art is a product of the Tao. The artist is not the source of creation, all things originate from the Tao. This is why, to become great the artist must become humble. Able to devote himself to his work, as opposed to the works reward. The art itself is on a journey, in which the tattooer is only a very small step. The tattooer who is centered in the Tao will always have enough work. Loud behavior and fashion gimmicks, glaring neon signs and classic cars, radio ads and a prime location may make people aware of the artist, but they are not what drive a tattooer success. The more effective rout to success is less direct than advertising. It cannot be seen, or heard. It costs nothing, and is always available. To help the client settle on a single idea, first get them considering every conceivable option. To help the client abandon an undesirable design, first agree to do their design just as they asked. To gain control over the creative process, first surrender control of the design to the client. Your clients want options, and for you to help them choose. They do not want for you to simply tell them what to do. If you insist that you be given creative control, your client will resist desperately to withhold what they might have given you gladly, had you simply agreed to do as they ask. The progression of an artists journey happens in its own natural course. There are no shortcuts to experience. It is the actual practice of tattooing that advances ones skill. Not the desire to be great. The desire for greatness in tattooing will only get in the artists way. This desire will lure the artist into tasks beyond his ability. The resulting failures will frustrate his ability to develop naturally. Be content to work within your strengths. At peace and free of the desire to be more than you are. In this way your skill will develop by itself, in its natural rhythms. The Master tattooer will work while lesser tattooers talk. Quietly fulfilling his responsibilities to his clients while lesser tattooers lay blame and make excuses. The Master tattooer produces much, and his clients will speak well of him. Lesser tattooers will speak well of themselves, and produce little. A foolish tattooer will behave as though he believes he must follow a certain fashion, be popular with specific people, be published in certain circles, He will claim to detest stereo-types and prejudices, while simultaneously conforming to a stereo-type and discriminating against those who do not. Without internalizing the Tao, he will grasp at notoriety, social status, peer conformity, competition, and praise. The Master does not dwell in shallowness. Unconcerned with conformity, he finds his own path. Acting always with integrity. Surrendering all illusions. He internalizes the Tao, grasps at nothing, yet has all that he needs. In harmony with the Tao, the tattooer has good clients, his clients are satisfied, his business is smooth running, stable and reliable. When a tattooer interferes with the Tao, he will not have enough work, his customers will be dissatisfied, his business will be chaotic, unpredictable and dissatisfying. The Master tends each part of his business with care, because he understands the whole business. His constant practice is humility. He is not loud or intimidating but responds with sensitivity to his clients. All types find him approachable and welcoming. Cultivate a practice of returning to the fundamentals A tattooer is defined less by what he does than he is by what he does not do. When an exceptional tattooer hears of the Tao, he imediately begins to internalize it. When an average tattooer hears of the Tao, He half accepts it, half rejects it. When a foolish tattooer hears of the Tao, he dismisses it entirerly. If he didn’t dismiss it, it wouldnt be the Tao. Often the surest way forward is to go backwards. Often the fastest way is the slow way. Often the closer one is to danger the further one is from harm. Look for the Tao and it will never be found. Though there is nothing to be found that is not the Tao.